With the Lightning Bolt Amulet, momentum could rapidly turn in your favor. I just want to thank you guys. I recently received my Lightning Bolt Amulet on January 6th and 3 days later I met the most amazing girl! I know its only been 2 weeks since we met, but I have never had a relationship that developed so quickly and that felt so incredibly right! I don’t know if the Lightning Bolt Amulet had anything to do with it, but I don’t think it was a coincidence! I can’t help but think that this girl might be “the one”! Thanks again, y’all ROCK!!! I was somewhat skeptical when I ordered the Deliciously Rich spell and the Lightning Bolt Amulet but now , I cannot believe my eyes. Within a COUPLE OF HOURS of ordering my spell, I got a call from a company I had sent a cover letter to a few months ago–they asked for my resume, and I got offered the job to work from home just like I wanted!!! I get to stay with my boys and I am so happy! 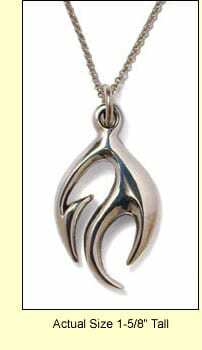 The amulet was for me to wear for a special person that I’ve been seeing and it also has been working. I know he has feelings for me. He really is amazing-everything I have ever wanted and more. Anyways, immediately I felt a warmth surge through my body in a rush as soon as I ordered. I CAN’T WAIT TO SEE WHAT HAPPENS and tell you guys the good news!! You guys are AWESOME!! I am a believer now. Thankyou sooo much!